Click the button below to add the Westinghouse WBRCLP140W Condensing Combination Gas Boiler & Water Heater - Propane Gas to your wish list. 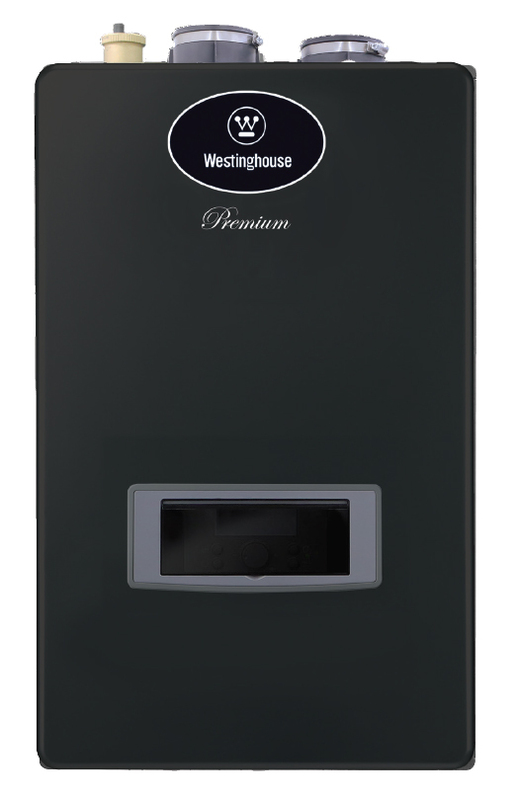 The Westinghouse condensing combination gas boiler & water heater saves money on operating expenses and installation costs. With a best in class 95% AFUE rating, this ultra high efficiency boiler takes care of both domestic hot water & space heating needs. Its 140k Btuh output works on almost any residential application. It is made with extremely durable stainless steel materials, making this one of the best combination boilers on the market. Propane Supply Pressure: Minimum 3.5" W.C. / Maximum 14" W.C.
Propane Manifold Pressure (2” / 3” Vent): Minimum 0.05” / 0.015” W.C., Maximum 0.36” / 0.23” W.C.